The research, in partnership with Memorial University of Newfoundland, goes beyond just counting the types of animals there are and instead accounts for the differences between wildlife and their roles in the environment. This information is important to conservation efforts, as it enables the identification of places where there are only a few species performing a role, as opposed to regions where many species carry out similar roles. 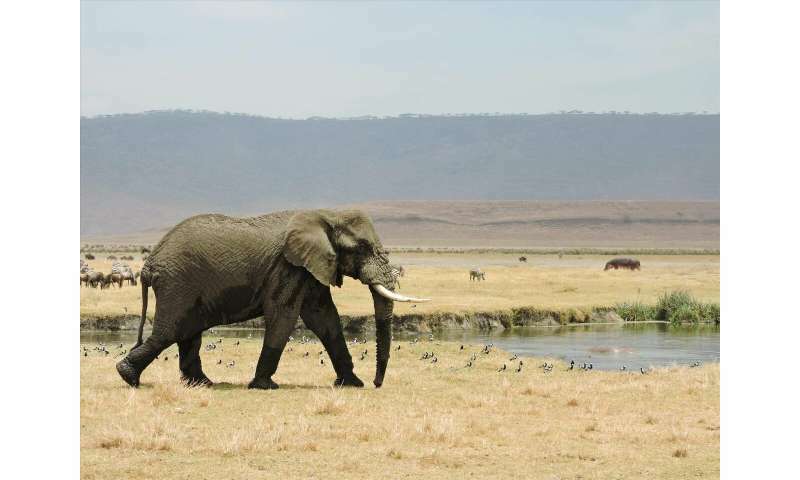 However, taking Africa as an example, mammals which perform very specific functions may be more important, such as elephants – eating hundreds of kilograms of vegetation a day, as well as churning the earth with their feet and tusks. The loss of elephants would likely have a much bigger impact because other animals aren't performing these kinds of specialist roles to the same degree. Lead author Robert Cooke, from the University of Southampton, comments: "This is a new way of looking at how we can maximise effective conservation efforts and we hope that it will provide governments and relevant charities worldwide with the big picture on which areas are most at risk from losing the functionality of birds and mammals in the environment – thus helping them to concentrate their efforts in the most effective directions." Professor of Applied Spatial Ecology Felix Eigenbrod, also of the University of Southampton, says: "This is an important study as it shows us how crucial it is to look at the diversity of life in different ways to really understand where to best focus precious conservation funding."